Last week, President Elect Jean-Claude Juncker published his agenda for Europe. To inform the policy debate, we would like to highlight and summarize some of the key research Bruegel scholars have done over the last years covering the issues raised. Juncker has excluded some topics, but we will focus on his announced agenda. In the upcoming Memos to the New EU leadership to be launched on September 4, our scholars will highlight the many challenges for the new leadership and propose new solutions, covering also areas omitted by Juncker. Please note that this is meant as a helpful collection of past contributions linked to the relevant topics rather than an assessment of Juncker’s proposals. For a policy oriented analysis of the agenda ahead of Juncker’s announcements we refer to the #EU2DO Memo to the incoming EU Presidents, where Andre Sapir and Guntram Wolff highlight a number of important priorities for the new leadership. A boost for jobs, growth and investment is a recurrent topic in policy discussions which Bruegel scholars have published a sizable amount of suggestions on. Zsolt Darvas, Jean Pisani-Ferry and Guntram Wolff warned against “Europe’s growth problem” in April 2013, pointing out that weak growth was putting private and public deleveraging at risk, while persistently high unemployment was eroding skills. As a result, the EU also faces major social problems as Darvas and Wolff argued. More than six million jobs were lost from 2008-13 and poverty has increased against social security systems whose efficiency varies widely. High private debt, high unemployment, poverty and more limited access to education undermine long-term growth and social and political stability. All this is happening in the context of great transformation of the global economy, in which emerging and developing market economies continue to forge ahead in the last decade and the EU risks being left behind. In such context, the role of public investment is key to revert the path of declining growth. Francesca Barbiero and Zsolt Darvas showed how the long-term decline in gross public investment in European Union countries mirrors the trend in other advanced economies, but recent developments have been different. Public investment has in fact increased elsewhere, but in the EU it has declined and even collapsed in the most vulnerable countries, exaggerating the output fall. However, the provisions in the EU fiscal framework to support public investment are very weak. In the short term, the authors argue that the exclusion of national co-funding of EU-supported investments from the fiscal indicators considered in the Stability and Growth Pact would be sensible. In the medium term, instead, the EU fiscal framework should be extended with an asymmetric ‘golden rule’ to further protect public investment in bad times, while limiting adverse incentives in good times. Reinhilde Veuglers looked at how the crisis is affecting public Research & Development budgets across the EU, finding that the gap between EU countries in public R&I expenditure has widened. Even though the EU budget serves as mechanism to somewhat ease the growing public R&I divide in Europe – EU funds are relatively more significant for innovation-lagging countries with low national R&I budgets – it is crucial to assess whether the effectiveness of these R&I programmes. Guntram Wolff suggests that the “EU must avoid another useless fight over its fiscal rules and instead use political capital to foster growth”. A deal should take into account the fact that there is no fiscal space to engage in a new stimulus as a growth instrument, in those countries where it would be needed the most. Countries that do have fiscal space, such as Germany, the Netherlands, Denmark, Sweden, Poland and Finland are those where a public investment spending stimulus, financed with deficits, should start. The third and most important element is recognizing that Europe underinvest in European public goods. Investment at the EU level could e.g. target projects such as trans-European infrastructure, the European energy network, a European telecom networks and, on the social side, a European mobility scheme for young workers. However, we are a far cry from a connected digital single market today, as Jeremy Bowles illustrated through market fragmentation in telecoms. While it’s hard to draw any strong conclusions, it’s not unreasonable that this goes part of the way to explain the notable absence of any European cities on LinkedIn’s top ten for tech talent. Unfortunately, the long-awaited telecom package unveiled by Digital Agenda Commissioner Neelie Kroes will not get Europe there—or at least not as quickly as some hoped, Mario Mariniello argued, so Juncker will have to make good on his promise to take ambitious legislative steps. He also faces a challenge from DG Competition, as the recent conditional clearance of the Telefonica/E-Plus merger in Germany poured cold water on Europe’s digital dream. Last year, Bruegel’s expert on energy and climate, Georg Zachmann, wrote that the most straightforward European single energy market design would entail a European system operator regulated by a single European regulator. To reap the significant benefits from an integrated European electricity market, he proposed the following Blueprint, for the new Commissioner for Energy to consider. As the crisis in Ukraine unfolded this March, Zachmann also provided what he calls a ‘rough overview’ of alternatives to Russia for Europe’s gas imports. This may serve as inspiration for the new President in consolidating Europe’s negotiating power vis-a-vis third countries. The EU has been leading the way on fighting climate change globally for a while and we welcome Juncker’s affirmed commitment to the 2 degree objective. Low-carbon energy technologies are pivotal for decarbonising our economies up to 2050 while ensuring secure and affordable energy, but when and how to support renewables? Together with Michele Peruzzi and Amma Serwaah, Zachmann let the data speak on this question, and also recommended to increase public investment to reduce the cost advantage of fossil fuels. In a different paper from early 2013, Zachmann also argued that the Emissions Trading System (ETS) must be stabilised by reinforcing the credibility of the system so that the use of existing low-carbon alternatives (for example burning gas instead of coal) is incentivised and investment in low-carbon assets is ensured. Manufacturing Europe’s future means getting the policies right for firms to grow and prosper. It is not about picking one sector over another, but primarily about setting the right framework conditions for growth, innovation and jobs. André Sapir and Reinhilde Veugelers write that the ‘Europe needs industry’ credo should be replaced by ‘Europe needs innovative firms that operate in activities with a high value-added and participate in European and global value chains’. The goal of European policymakers should be to make Europe an attractive place for innovative firms, regardless of their sectoral activity. No industry no future? asked Guntram Wolff in June. 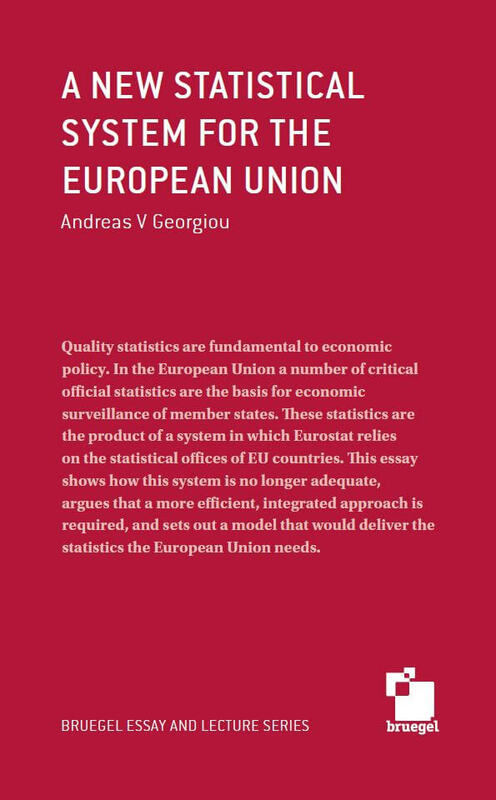 He argues that the quantitative goal set by Juncker, and previously by the EU, to increase industry’s weight in the EU’s GDP to 20% by 2020 needs to be dropped in favour of an approach based on competition, an integrated single market and public policies focused on real market failures. It will be essential to ensure the fairness of the internal market proclaimed by Juncker. In the past few months Mario Mariniello has looked at the EU antitrust dilemma and estimated the antitrust risk in EU manufacturing by sector. He has also highlighted that until Europe has accomplished a uniform regulatory framework fostering cross-border competition, the cost of the Commission’s mistakes will be always be borne by national consumers. As policymakers refocus on growth, the ability to take a firm-level view is key to disentangling the various factors at the root of competitiveness, and thus to designing appropriate policies. This was very well analysed by Carlo Altomonte, Filippo di Mauro, Giorgio Barba Navaretti and Gianmarco Ottaviano in Assessing competitiveness: how firm-level data can help. Juncker also called for a Capital Union. This is an important topic on which many Bruegel scholars have written. What kind of banking union? was an important part of Bruegel’s research on capital union. Here is a non-exhaustive list to explore. Pagliari, Vallée and Monnet argue that the relationship between governments and financial systems in Europe cannot be reduced to polar notions of “capture” and “repression” the current reconfiguration of Europe’s national financial systems is influenced by history but is not a return to past interventionist policies. Sapir and Wolff argued about the need to deepen capital markets alongside banking markets in a contribution to the informal ECOFIN. Nicloas Véron looks at financial reform after the crisis and at bank versus non-bank credit in EU, China and US. Already in 2012, Guntram Wolff highlighted that in a monetary union, national fiscal deficits are of limited help to counteract deep recessions; union-wide support is needed. A common euro-area budget (1) should provide a temporary but significant transfer of resources in case of large regional shocks, (2) would be an instrument to counteract severe recessions in the area as a whole, and (3) would ensure financial stability. Such a common resource would need to be well-designed to be distributionally neutral, avoid free-riding behaviour and foster structural change while be of sufficient size to have an impact. Revising the mechanisms of accountability and democratic control of the Troika should also take into consideration an in-depth assessment of successes and so far. Carlos De Sousa, André Sapir, Alessio Terzi and Guntram Wolff on 19th February 2014 highlighted how the programmes in Ireland, Portugal, Greece and Cyprus were based on far too optimistic assumptions about adjustment and recovery in Greece and Portugal. In all four countries, unemployment increased much more significantly than expected. Although fiscal targets were broadly respected, debt-to-GDP ratios ballooned in excess of expectations due to sharp GDP contraction. Concerning the importance highlighted by Juncker on social impact assessment of reform programmes, Zsolt Darvas and Guntram Wolff Fiscal reminded in their piece on the implications of social problems for economic growth that fiscal consolidation has generally attempted to spare social protection from spending cuts, but the distribution of adjustment costs between the young and old has been uneven; a growing generational divide is evident, disadvantaging the young. 6. A Reasonable and Balanced Free Trade Agreement with the U.S. Looking at the prospects for regulatory convergence under TTIP, Suparna Karmakar highlighted the requirement of the unilateral and unconditional recognition by the TTIP partners of each other’s standards, procedures and conformity assessment tests. The data protection of EU citizens has been in focus ever since the surge in espionage scandals that began with the leaks from Edward Snowden, and we welcome Juncker’s desire to move forwards on this issue. In a blog from last winter, Carlos De Sousa and Reinhilde Veugelers put attention on the economic perspective surrounding this matter, arguing the issue comprises of three main aspects. The discussion of a revision of the US-EU Safe Harbour Arrangement, whereby US firms can operate in Europe under US privacy rules as long as they comply with the seven principles of the EU Data Protection Directive, thus allowing US intelligence (NSA) to survey EU citizens’, as is very well explained in this FT article. The revision of the current EU Data Protection Directive (95/46/EC DPD), which has been in force for almost two decades now and is scheduled to be updated in spring 2014, so as to reflect the changes in technology, markets and preferences/attitudes of consumers. And last but not least, the EU also needs to work towards a single digital market that provides the right conditions for global IT companies to do business in Europe while carrying an adequate tax burden, and at the same time creating conditions for European IT companies to develop and be competitive in the global digital market. Juncker set the goal to move away from unilateral migration policies towards Europe-wide negotiated win-win solutions aiming at “reducing the costs of, and enhancing the welfare gains from, migration and remittances”. Rainer Münz highlighted this, as well as other crucial aspects of the complex issue, in the his policy brief on Europe’s migration challenge. If Münz is right in his predictions, Europe will face a severe shortage of labour in the future. We have been monitoring the international and the European debate on migration in several blogs reviews, specifically addressing the debate on freedom of movement in Europe after the Swiss referendum and the economics and politics of migration in the economic crisis. In his working paper from February, Jim O’Neill suggests that China will take over as the number one trading partner for many central European countries over the next few years. This relates to the point on the free trade agreement with the United States, and beyond the economics this has implications for Europe position on the global scale. The need for a stronger Europe in the World is one of the key axes of the recent Memo to the new Presidents by André Sapir and Guntram Wolff. The EU needs to adapt its economy and even societies to the Great Transformation resulting from the combined forces of globalisation, demographic, technological and environmental change. According to the memo, Juncker will also have to rethink the EU’s neighbourhood strategy and strengthen the EU’s place in the world. Juncker stressed the need for a political dialogue and political solutions, against the backdrop of the political signals expressed by citizens at the European Elections in May. Bruegel also highlighted this several times over the past months. The French Eiffel Group wrote in response to Glienicker Group, that the strategic choice for Europe should be “[to build] a political and democratic Community based on the euro, while remembering that monetary union was conceived as the bedrock of a much greater project, which intended to unite men and not as an end in itself”. However, also a more critical voice was raised by Ashoka Mody arguing the need for A Schuman compact for the euro area based on the idea that since the very inception of the EU, Europe’s leaders have been unwilling to cross a threshold that compromised core national sovereignty. Silvia Merler provided an interesting insight on the question of the appetite and scope for further political integration by looking at data from the European Commission’s Eurobarometer. While it is interesting to reflect on the wider debate and gauge the willingness to move towards a more genuine political dialogue, André Sapir and Guntram Wolff underlines that Juncker’s first move should be towards a rationalisation of the structure of the College of Commissioners. An effective Commission would have only a dozen policy areas in which it would take action. In this episode, Bruegel senior fellow Nicolas Véron joins Sean Gibson to discuss the recent Policy Contribution on how to better the European Union anti-money laundering (AML) regime, a paper he has co-written with Joshua Kirschenbaum.